In what ways did pre-modern Muslims express their love and longing for the Prophet? This talk highlighted the variety of expressions of prophetic love among scholars of al-Andalus and the Maghrib, ranging from highly mystical commentaries upon his names and his supreme station to praise poems and eulogies dedicated to his blessed sandals. 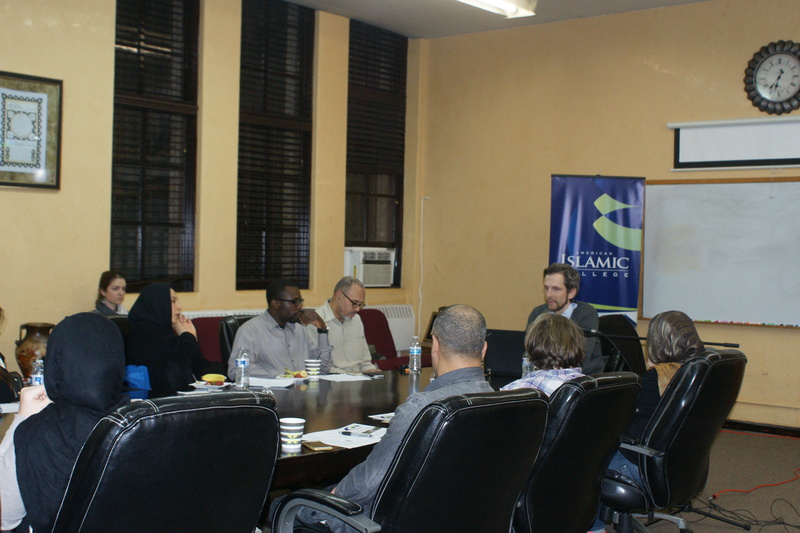 Yousef Casewit is an Assistant Professor of Qur’anic Studies at the University of Chicago Divinity School. He specializes in the Qur’anic Studies, Andalusi and Maghribi intellectual history, and Sufism. He has several publications, including a critical edition of A Qurʾān Commentary by Ibn Barrajān of Seville (Brill TSQ Series, 2015). His study on Ibn Barrajan, The Mystics of al-Andalus, was published in April 2017. He is currently working on a critical edition, translation, and analytical examination of the “Commentary on the Beautiful Names of God” (Sharḥ asmāʾ Allāh al-ḥusnā) by the celebrated North African poet and gnostic ʿAfīf al-Dīn al-Tilimsānī (d. 690/1291). Born in Egypt and raised in Morocco, he is fluent in Arabic, French and Spanish. Yousef has traveled throughout the Islamic world, and has studied with Muslim scholars in Morocco, Syria, and Mauritania.